• How significant is the Internet as a marketing tool? • How does Internet marketing relate to e-marketing, e-commerce and e-business? • What are the key benefits of Internet marketing? • What differences does the Internet introduce in relation to existing marketing communications models? Introduction - how significant is the Internet for marketing? How significant is Internet marketing to businesses today? The answer as always, is 'it depends'. The relative importance of the Internet for marketing for an organisation still largely depends on the nature of its products and services and the buyer behaviour of its target audience. For companies such as easyJet (www.easviet.com), the low-cost European airline, the Internet is very significant for marketing its products - the Internet is now a vital part of the customer journey as consumers select the best supplier and make their purchase. EasyJet now achieves over 95% of its ticket sales online and aims to fulfil the majority of its customer service requests via the Internet (Figure 1.1). The figure shows how it has used the Internet to support its growth into many new markets. When returning to the site on subsequent visits, the relevant home page for that country is automatically displayed. For organisations whose products are not generally appropriate for sale online, such as energy company BP (www.bp.com) or consumer brands such as Unilever (www.unilever.com), the Internet is less significant, but is still rapidly growing in importance. We will see that a dramatic change in media consumption over the last 10 years towards digital media means that the Internet is becoming important for all product categories. Although the Internet is less commonly used for sale of products by such organisations, it is still important in increasing awareness of their products and brand values through online advertising on third-party sites. Once awareness is raised amongst different customer types, content and offers such as those in Figure 1.2 can be used to encourage them to start an online dialogue. The cover theme of this new edition of Internet Marketing alludes to customer journeys as we go about our daily lives. It also suggests the potential the web has for collaboration in communities and the sharing of information and experiences. A description of modern multi-channel buyer behaviour as consumers use different media to select suppliers, make purchases and gain customer support. This book explains how organisations can develop plans to manage all the different ways in which the Internet can be applied to support the marketing process. We take a customer-centric approach to Internet marketing (although many would regard this as a tautology since the modern-marketing concept places the customer at the heart of all marketing activity). By 'customer-centric' we mean the capability digital media give marketers to better understand and tailor propositions to individual customers, which is one of its greatest appeals and a common theme in each chapter. As customers follow their journeys as they select products and interact with brands, they do not use the Internet in isolation - they consume other media such as print, TV, direct mail and outdoor. These media are still very important for marketers to communicate with customers who still spend the majority of their waking hours in the real world rather than the virtual world. It follows that an effective approach to using the Internet is as part of a multi-channel marketing strategy. This defines how different marketing channels should integrate and support each other in terms of their proposition development and communications based on their relative merits for the customer and the company. The multi-channel approach is also a common theme throughout this book. In this introductory chapter we review different applications of Internet marketing and consider the impact of the Internet on marketing. We also explain the basic concepts of Internet marketing, placing it in the context of e-commerce and e-business and the technologies involved. • An advertising medium. 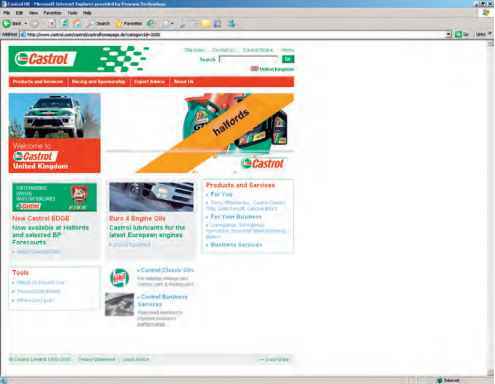 For example, BP plc and its subsidiary companies, such as Castrol Limited, uses large-format display or interactive ads on media sites to create awareness of brands and products such as fuels and lubricants. • A direct-response medium. 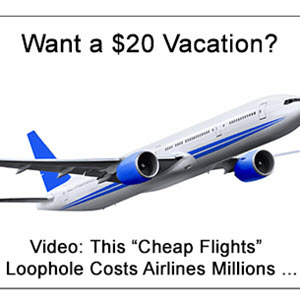 For example, easyJet uses sponsored links when a user is researching a flight using a search engine to prompt them to directly visit the easyJet site by clicking through to it. Similarly the easyJet e-mail newsletter sent to customers can encourage them to click through to a web site to generate sales. • A platform for sales transactions. For example, easyJet sells flights online to both consumers and business travellers. • A lead-generation method. For example, when BP offers content to business car managers about selecting the best fuel for company cars in order to identify interest from a car fleet manager. • A distribution channel. For example, for distributing digital products. This is often specific to companies with digital products to sell such as online music resellers such as Napster (www.napster.com) and Apple iTunes (www.itunes.com) or publishers of written or video content. • A customer service mechanism. 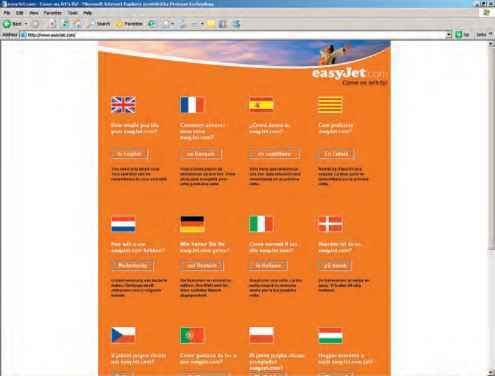 For example, customers serve themselves on easyJet.com by reviewing frequently asked questions. • A relationship-building medium where a company can interact with its customers to better understand their needs and offer them relevant products and offers. For example, easyJet uses its e-mail newsletter and tailored alerts about special deals to help keep its customers and engage them in a dialogue to understand their needs through completing surveys and polls. Although the importance of the Internet varies for different organisations, what all share is changing behaviour in their stakeholder audiences whether they be prospects, customers, media, shareholders or other partners. Each of these audiences is increasing its consumption of Internet media (Figure 1.3) and there is a corresponding change in buyer behaviour. Figure 1.3 shows that in the UK, the Internet is the third most consumed medium following TV and radio (this figure excludes e-mail usage). During the business day, the web is the most frequently consumed medium.